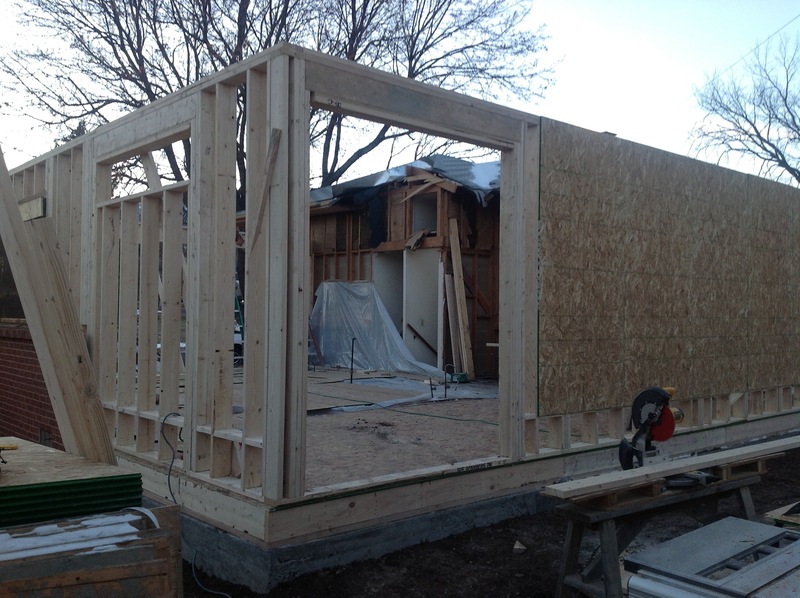 Over the last few days Ed and Kurt have been framing. 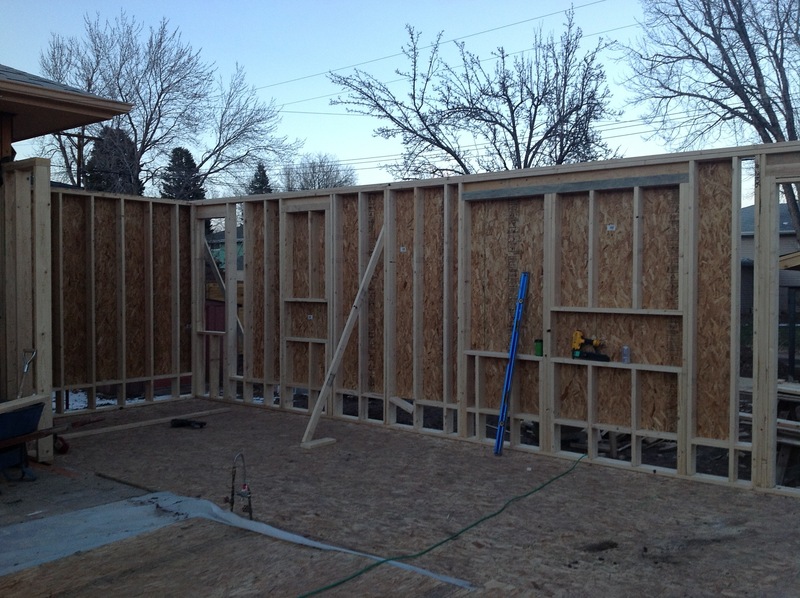 The kitchen and living room walls went up today. Standing in the new space is very gratifying. Months ago, Estee and I spent an afternoon with a tape measure and a can of spray paint, and we worked out the floor plan in a park in Dallas. We painted out the walls, the island, and the dining room table in the grass, and we walked through the life-sized floor plan to see how it felt. We widened traffic lanes until we could walk through comfortably without bumping into each other. We pivoted around from the fridge and sink in order to figure out the best location for the island. In short, we ergo-engineered the space for how we live, and sketched it out with paint. Today we were able to walk around in it for real. The scale and dimensions are great. 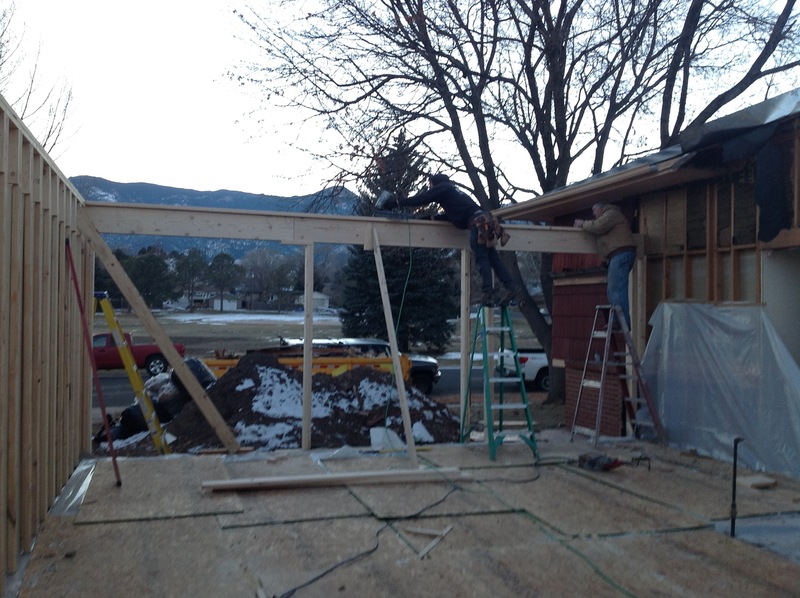 Tomorrow the joists for the second story go up.